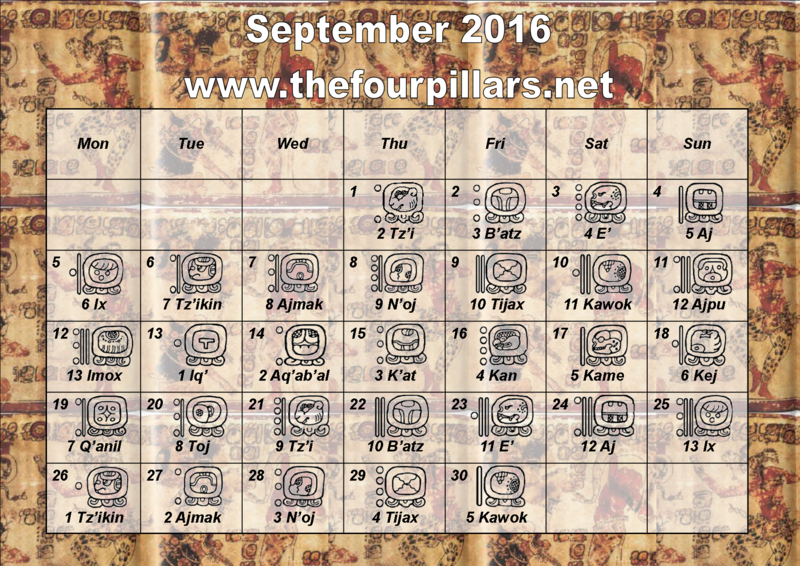 Here are the days of the Chol Q’ij mapped onto the Gregorian month of September 2016. Please click the calendar for a larger version to print out if you would like to. Below the calendar are clickable links to my writings for each of the days. IMPORTANT NOTE – I am refreshing the posts to reflect the new cycle on a daily basis. I have also changed the way I write through the last cycle of the Chol Q’ij. 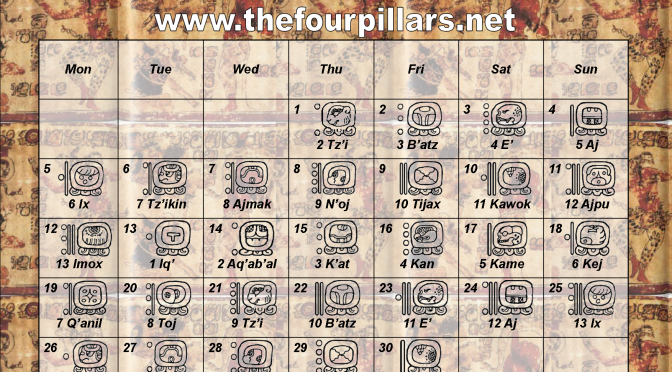 The links will take you to the correct day, even if the Gregorian title shows December of 2015 or January of 2016.